Publius Ventidius Publii filius Bassus was a Roman general and one of Julius Caesar's protégés. 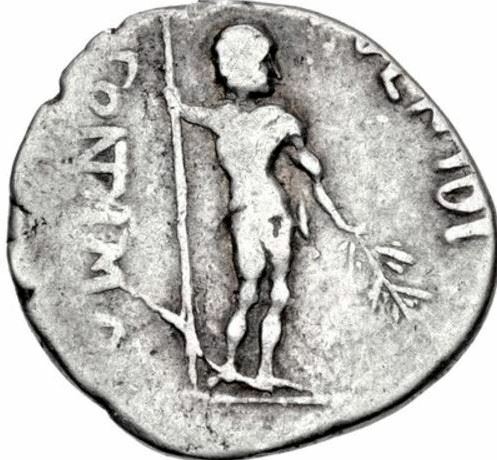 He struck coins as Imperator in 39 BC in conjunction with Marcus Antonius. He won impressive victories against the Parthians which resulted in the deaths of key leaders - victories which redeemed the losses of Crassus and paved the way for Antony's incursions. After peace was concluded, Antony sent Ventidius back to Rome where he celebrated a triumph, the first Roman to triumph over the Parthians. After celebrating his triumph, Ventidius isn't mentioned again. Ventidius appears briefly in Shakespeare's play Antony and Cleopatra, where he is shown leading the Roman forces against Parthia. He muses over whether to risk rousing his superior's jealousy by going further than he has; after which he disappears from the play.